In the year since the Galaxy Note 7 debacle, Samsung has had to work hard to get its business back on track. However, thanks to devices like the Galaxy S8 and the recent Galaxy Note 8 along with thriving component sales, the company is now forecasting record profits, eclipsing even those of its biggest rival, Apple. 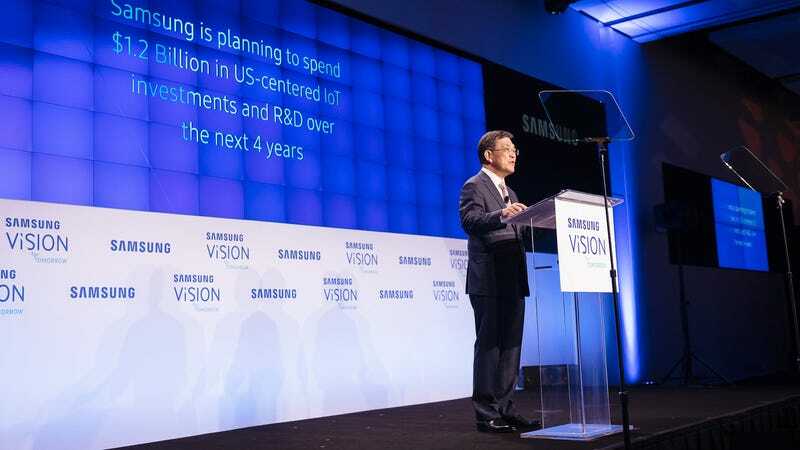 But just when it seemed things were peaking, Samsung must deal with another setback after CEO and vice chairman Kwon Oh-hyun announced that he is planning to step down from his role as CEO of Samsung and Samsung Display in March of 2018. That last part could be the most troubling statement. A large part of Samsung’s recent success stems from Kwon’s leadership of Samsung’s components and display business, which not only provides the screens, memory, and other components in its own devices, but also supplies parts to many of Samsung’s biggest competitors, including the OLED display on Apple’s iPhone X. But with reports saying that both Apple and Google are investing hundreds of millions of dollars into LG’s display division, Samsung’s dominance in OLED display tech may not continue on for too much longer. Kwon joined Samsung in 1985 at the company’s Semiconductor Research Institute. He later become the President of the semiconductor division before becoming the CEO of Samsung in 2012 and the CEO of Samsung Display in 2016.